Sexing: No visual difference. 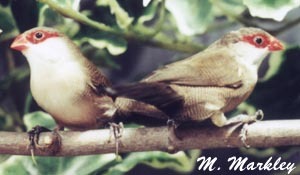 Males sing, females lay eggs. 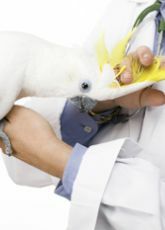 Social: Yes, Good aviary birds, compatible with some other species of equal size and temperament. Will do better in single species flights. Housing: Not cage birds, they require flight space and places to hide. 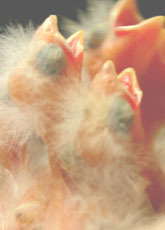 Provide them with a large flight or aviary. Use fake or live non-toxic plants in their environment. They require temperatures to stay at or above 70 degrees Fahrenheit all year long. They require 12 hours of daylight, either natural lighting or with full spectrum artificial lights. 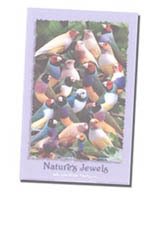 These finches enjoy the safety of a flock, and should be kept in groups. Diet: Grass seeds. 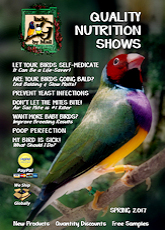 Find a good finch seed mix, add in millet, live foods, egg food, and some fruits & veggies. My Waxbills have proven that they'll eat just about anything. If you don't think your Waxbills are eating well enough you can use vitamin, mineral, & calcium additives.